It's 09:29 in Dallas, USA right now. Misericordia University A webcam in Dallas, Pennsylvania - camera location: Misericordia University. Wilkes-Barre, Pennsylvania: Heights Murray Elementary School, 7.5 miles away. Wilkes-Barre, Pennsylvania: Mohegan Sun, 7.5 miles away. Tunkhannock, Pennsylvania: Tunkhannock High School, 14.1 miles away. Dunmore, Pennsylvania: Dunmore Corners Live, 18.1 miles away. Sugarloaf, Pennsylvania: Weathercam, 23.6 miles away. 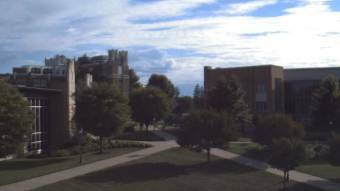 Albrightsville, Pennsylvania: Jim Thorpe - Penn Kidder Campus, 29.1 miles away. Forest City, Pennsylvania: Forest City Regional Jr Sr High School, 33.7 miles away. Catawissa, Pennsylvania: Southern Columbia High School, 37 miles away.